Antenna Systems Division of Communications & Power Industries LLC (CPI) which on Sunday, September 17, 2017, will present an educational forum on “Q/V-Band Ground Systems: What Do You Need to Know” during the international IBC2017 exhibition and conference in Amsterdam. CPI invites engineering decision-makers interested in learning how to obtain the best results from the newest generation of high-throughput satellite (HTS) technology to attend the forum. Experts from CPI’s antenna and amplifier businesses will introduce the new requirements that the Q/V-Band spectrum will place on antennas, amplifiers and network design. Speakers from CPI will include Joe Tolleson, Pete Zilliox and Mike Cascone, with Fred Vinezeano moderating. 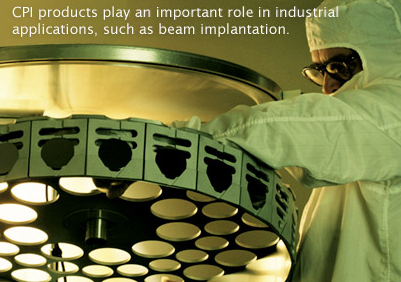 CPI serves customers in the communications, defense, medical, industrial and scientific markets. Communications & Power Industries (CPI) is a global manufacturer of electronic components and subsystems focused primarily on communications and defense markets headquartered in Palo Alto, California and has manufacturing facilities in the U.S. and Canada, as well as more than 40 sales and service offices around the world. The forum will take place on September 17 from 1:00 to 2:30 pm CEST in IBC2017 Meeting Room G104. Interested attendees should RSVP at.